Worth reading...This is the stuff legends are made of. postgraduate department and was staying at the ladies' hostel. Other girls were pursuing research in different departments of Science. I was looking forward to going abroad to complete a doctorate in computer science. I had been offered scholarships from Universities in the US... I had not thought of taking up a job in India. While on the way to my hostel from our lecture-hall complex, I saw an advertisement on the notice board. It was a standard job requirement notice from the automobile company Telco (Tata Motors). It stated that the company required young, bright engineers, hardworking and with an excellent academic background, etc. After reading the notice I went fuming to my room. I decided to inform the topmost person in Telco's management about the injustice the company was perpetrating. I got a postcard and started to write, but there was a problem: I did not know who headed Telco. I thought it must be one of the Tatas. 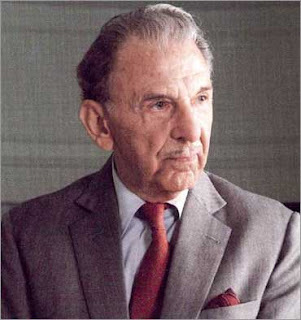 I knew JRD Tata was the head of the Tata Group; I had seen his pictures in newspapers (actually, Sumant Moolgaokar was the company's chairman then). I took the card, addressed it to JRD and started writing. I posted the letter and forgot about it. Less than 10 days later, I received a telegram stating that I had to appear for an interview at Telco's Pune facility at the company's expense. I was taken aback by the telegram. My hostel mate told me I should use the opportunity to go to Pune free of cost and buy them the famous Pune saris for cheap! I collected Rs 30 each from everyone who wanted a sari when I look back, I feel like laughing at the reasons for my going, but back then they seemed good enough to make the trip. It was my first visit to Pune and I immediately fell in love with the city. The place changed my life in so many ways. As directed, I went to Telco's Pimpri office for the interview. There were six people on the panel and I realized then that this was serious business. rather cool while the interview was being conducted. there, we became good friends and we got married. He smiled and kindly smile and started a discussion with SM. As for me, I almost ran out of the room. One day I was waiting for Murthy, my husband, to pick me up after office hours. To my surprise I saw JRD standing next to me. I did not know how to react. Looking back, I realize JRD had forgotten about it. It must have been a small incident for him, but not for me. I was quite used to waiting for Murthy, but having JRD waiting alongside made me extremely uncomfortable. I was nervous. Out of the corner of my eye I looked at him. He wore a simple white pant and shirt. He was old, yet his face was glowing. wrapping up my final settlement when I saw JRD coming up. He was absorbed in thought. I wanted to say goodbye to him, so I stopped. He saw me and paused. No need to explain who Mrs Murthy & her husband are.